As winding roads lead you through charming small towns scattered between rolling green hills, you’ll start to notice each town’s unique personality. 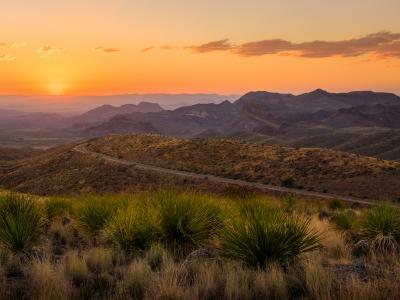 If you follow the Texas Wine Trail, which leads to more than 50 Hill Country Wineries, you’ll find running themes that help connect the dots. This area has a booming wine country, with tasting rooms and the tight-knit community that comes with them dotting U.S. 290 all the way from Austin to Fredericksburg. European heritage lines the area with influences brought over from the old country when the region was settled. Once you get to Fredericksburg, you’ll find German heritage all around you, with local menus focused on bratwurst, schnitzel and homemade sauerkraut. And of course, you can’t miss the annual Oktoberfest, where you can find authentic pretzels and imported German beer galore. Other hints at this town’s history can be found on its signage; street names like Achtzehn and Heimplatz, whose local pronunciations have a decidedly Texan twang, are generously sprinkled throughout Fredericksburg. A major draw for travelers are the quaint streets lined with historic buildings and homes, including one-room “Sunday houses” built by farmers in the 1870s for their weekend trips to town. A few of them have been converted into bed and breakfasts and offer darling places to settle in after a long day of wining, dining and biergarten-hopping. 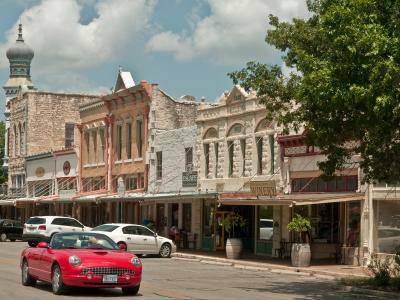 For more German culture, cruise down to New Braunfels to explore the Gruene Historic District, where bustling shops and restaurants operate out of preserved 19th-century buildings. Here, you’ll find the oldest continually operating dance hall in Texas—Gruene Hall—built in 1878. If the authenticity of cowboy boots and country dancing is what you’re after, this would be the place to find it. And if you happen to be here in November, you can experience an epic celebration of the town’s culinary heritage known as Wurstfest. The town’s 70-acre waterpark, parts of which use fresh water from the spring-fed Comal River, also takes cues from the old country. Aptly named Schlitterbahn, its iconic tower resembles the one at Solms Castle in Braunfels, Germany. For a flair of the French, make a trip to Castroville, also known as the “Little Alsace of Texas.” Hints at the town’s French forefathers can still be seen in the scores of 19th-century dwellings that remain. Among them is the main building at the Landmark Inn State Historic Site, which served as a private residence, store, post office and inn way back in the 1850s. Today, it operates as a cozy 8-room bed and breakfast. The Steinbach House, an even older structure from the 1600s, was given to the town by the people of Alsace. Its diagonal timbers and shuttered windows provided architectural inspiration for the homes and buildings that followed. Whether you’re looking for a day trip with a gorgeous drive, a taste of the local vintage or a small-town vibe that’s big on history, the Hill Country has plenty for you to see, taste, do and discover. 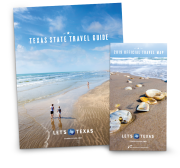 Take some time to enjoy its charm and scenery, just as new and native Texans have for centuries.